Jason Hernandez's story is not everyone's story. But it is a story. And, given what we know about the criminal justice system and the so-called War on Drugs, it clearly has probative value. Texas Monthly is featuring a fantastic piece on him here. With the encouragement of an older brother (J.J., later an addict), Jason began selling drugs at the age of 15. By 16, he was running a "drug distribution ring" and bringing in $1,000 plus a week! The work moved from marijuana to cocaine, then crank and crack. Hernandez was arrested in March of 1998 (along with 48 others) and - at 21 years of age- was convicted on fifteen charges and given life in prison without parole plus 320 years! He was not a violent offender, was not connected with gangs, and was certainly no drug lord / kingpin. But, he did not "cooperate" with authorities, so there was no chance of a plea bargain. In 2008, Jason's brother was murdered in state prison. It was a jarring, life-changing event. Jason took paralegal courses and launched CrackOpenTheDoor.com "to bring awareness to a class of federal inmates that will perish in prison for reasons that have been dispelled by research, no longer supported by scientific evidence, and viewed by the public as racially discriminative towards minorities: first time and or non-violent crack cocaine offenders, serving life sentences without parole." 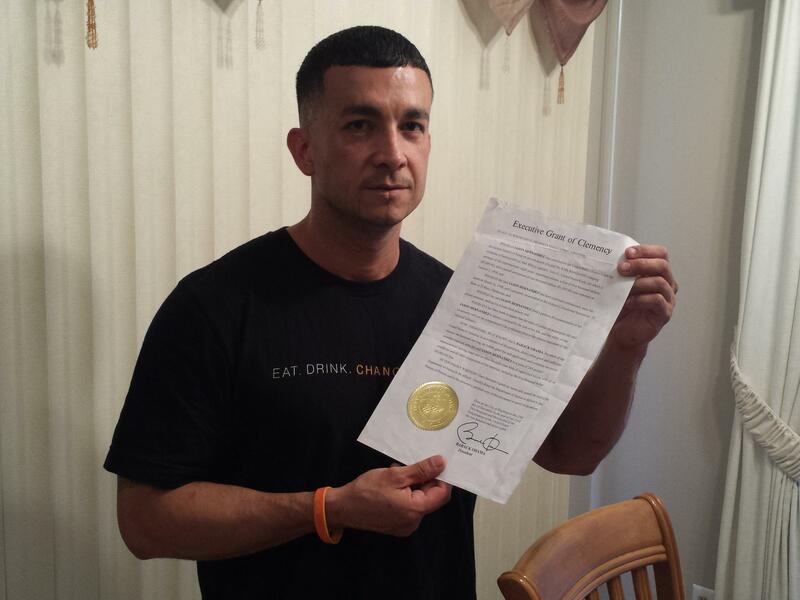 On December 19, 2013, Jason's sentence was commuted by President Obama. My actual release date from federal custody was August 11, 2015. That day, the day I got out, I went to visit J.J.’s grave site. It was the first place I went. Then, I met with Officer Damien Guerrero, who had arrested me and took me into custody. We went to high school together. He went the right way and I went the wrong way. I wanted to meet with him so I could find out how I could help the community, help the kids that were like me. Jason's story is a MUST read. See full article here.